Over the last few weeks I have really worked on targeting my interventions and word study during my small group time. At the beginning of the year, I sort of have a “cast the net” sort of approach. Now I don’t want to waste time teaching something that my student already knows. ESGI makes it easy to see which specific skills are needed for each student. 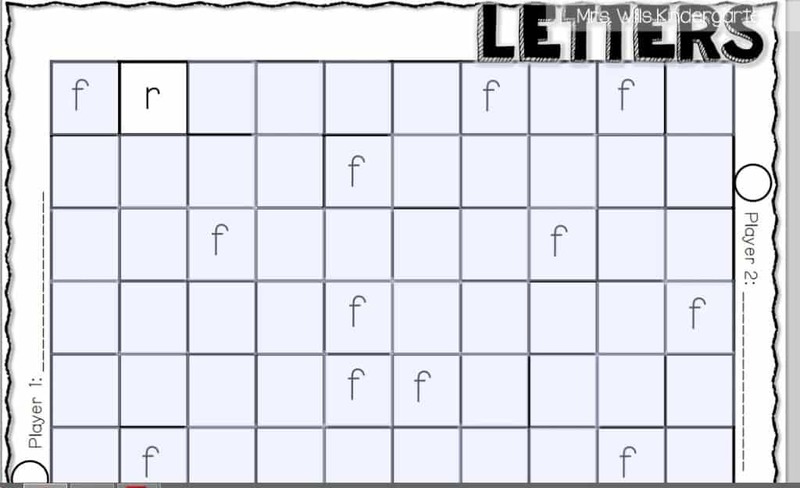 This is what the parent letter looks like for sight words. I can also create similar letters for letter ID and sound ID. From these reports I can make learning goals for my students. Then my activities in my small group can be targeted to these concepts. A MILLION years ago, I started to create this unit and I finally finished it today. However, we have been using it in my classroom for a few weeks. 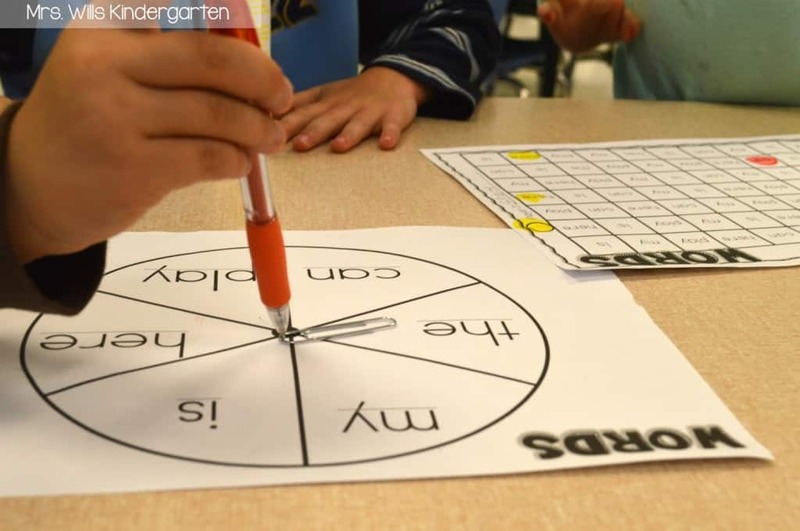 We have used it with the spinner for sight words. It is really easy to customize these pages. I made text boxes. You just need to type in the 5 letters you want to focus on… the rest of the page automatically fills in for you . You can create a full page in less than 10 seconds… REALLY! The same exact thing goes for the sight words. This page look me literally 10 seconds to prepare! Here is what is included in this unit. 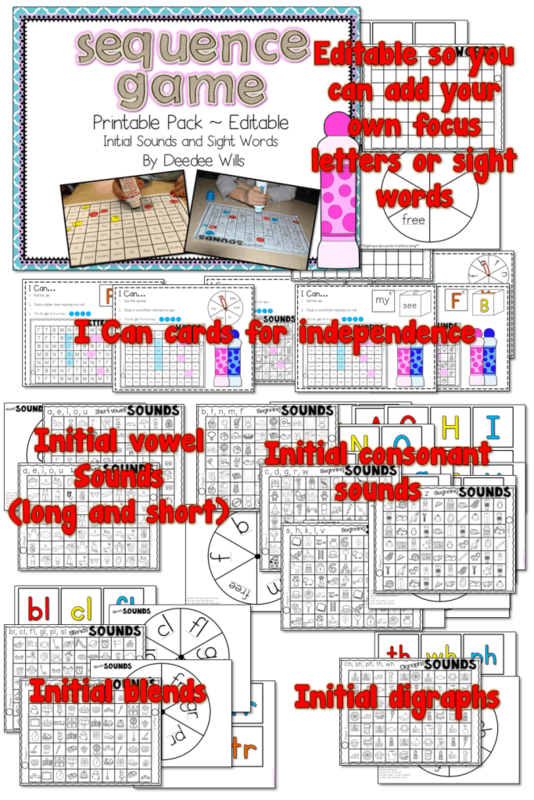 Here is another resource that I have that allows you to target specific letters, numbers, and words. As of last week 90% of my class knows all of their letters and sounds. Those who do not at making quick gains each week towards that goal. 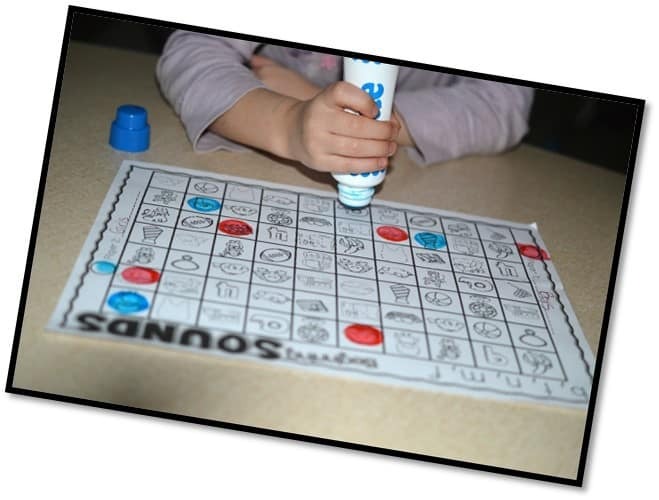 With sight words I am see similarly great results! I have discounted both of these units until Sunday night, so grab them while you can! LOOOOVVEEEE that I can type my own sight words in!!!! That's awesome! I bought this unit yesterday and created two game boards in less than a minute! Love that I can differentiate and use this all year long! Thank you Deedee!! I was wondering if you can explain your small group time vs. guided reading time. It seems that you are using your guided reading time to pull small group instruction on alphabet mastery. 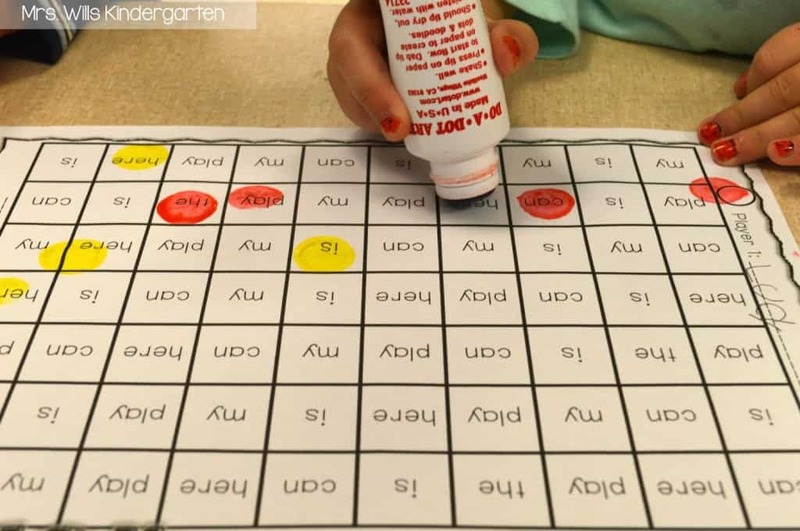 Is this just until the alphabet is learned and then you will transition to guided reading? How many weeks into school does this happen and how many weeks into school do you start? Also, do you have any order you follow for word study? I really like your idea of teaching intense alphabet instruction. Actually my small group and guided reading are one-in-the-same. I started GR with books about the 4th week of school. However, during our "word work" portion of my GR time, we are focusing on alphabetic principals during the first part of the year. 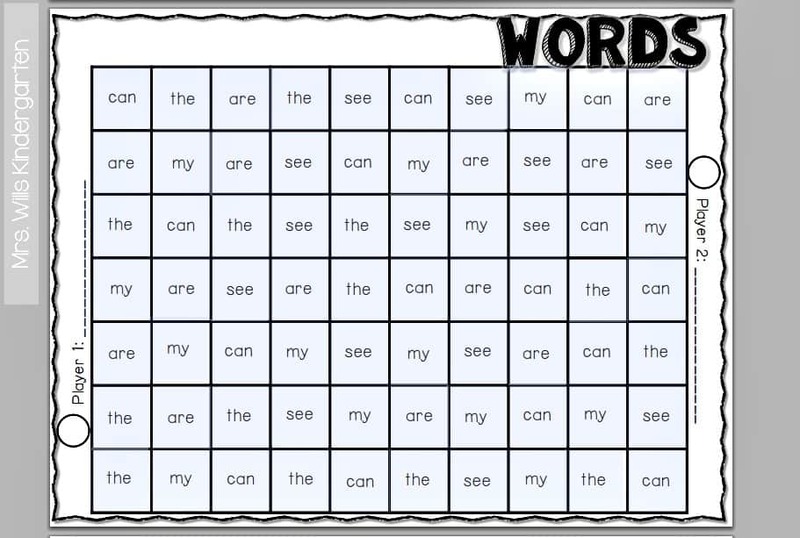 Right now the majority of my class knows all of their letters, so we will be switching to other areas of reading (sounds, PA, sight words…). My feeling is that my class is so strong in knowing their alphabet because of this intensive time. I hope that helps. Thank you for getting back to me! A few more logistic questions…how long are you with each group and how many groups do you see each day? 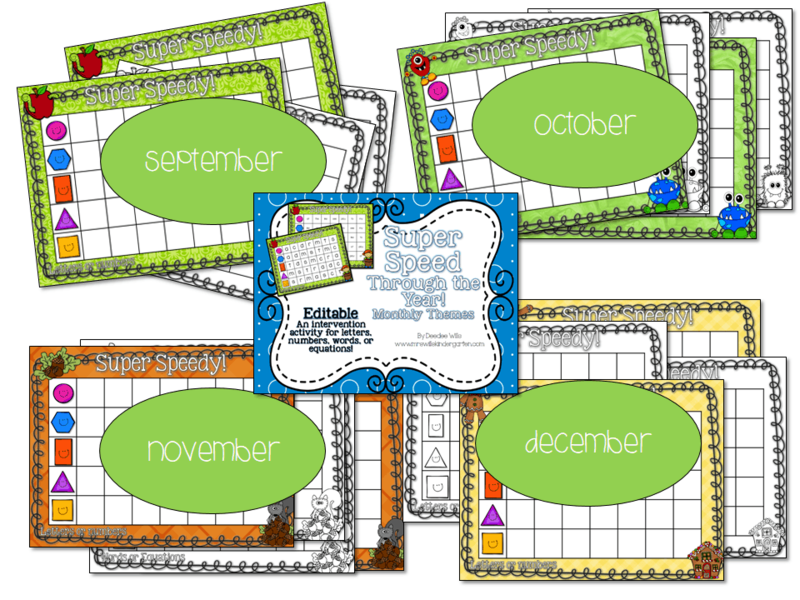 Also, do you have a helper to help manage stations while you are with your small group? I meet with 2 groups in the morning and 2 groups in the afternoon. Each group runs about 15-20 mins. I do not have anyone to help me. I am running solo! Ha! Just me and my 20 friends!